Good evening, it is a door of Chiba DRONE WALKER. We usually take an aerial shot at the signature of SORA.blue. Thanks to you I think that you are getting more jobs than other companies. (Of course, I think that it is still too much). Will often be asked by clients, friends and acquaintances, if professional can one take a beautiful picture? Story that. I think that there are many people who are interested in this very much. That’s right, you know who you are thinking of taking an aerial photograph are very bothered. There are many things to take again. Actually there are things that do not go as per the picture that I had imagined. In our case, it is common for clients to check while displaying images on PC in real time. Even if the client gives out OK, we may ask you once more from our company. In the case of shooting, we will consolidate some image before skipping. (Actually, there are many things to suggest to clients from here.) There are a lot of surprisingly no-plan clients. The creation of this image will be able to imagine in my mind the first time I have experienced flight over and over again. When shooting the other day, I could not take beautiful videos as I expected, I tried about 5 times. How to put the object in the camera … If it is a still picture, in the case of a movie, it is really worrying about it. There is a big difference if we correspond by pilot alone at such a time, if two or more people correspond. It is a big job to give instructions on the correction point while drawing on the intention of the pilot, not only safety management but also accompanying safe operation administrator (called our navigator in our company). At this time as well, I repeated the subtle corrections according to the exact instructions of the navigator, and I was able to take a cut like I thought. By the way, in our company, we repeat takeoff and landing in one scene. To keep concentration, and to make the flight time as short as possible. The longer the flight time is, the higher the risk. I think that it is better to throw away the idea of ​​letting you complete everything in landing flight in one flight. And it is also a fact that the existence of navigator becomes important. There are problems in safety management, so please allow at least two people to go to the scene as much as possible when shooting as a job. Well then. It was Enjoy Safety Flight ❗ Tomorrow. 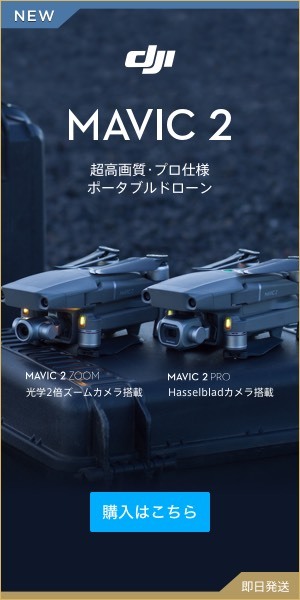 In Japan, the "Radio Law" is the biggest barrier to the drone industry growth. To break it! Is it?